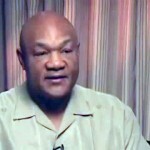 While stationed in Oregon with the Job Corps in 1965, George Foreman became infamous for his belligerent attitude, often picking fights with his fellow trainees. On the verge of expulsion, he met Job Corps supervisor Charles “Doc” Broadus, who saw promise in Foreman’s physical strength. Under the direction of Broadus, Foreman trained to be a boxer. With a devastating punch, Foreman fought in the amateur boxing circuit, amassing a remarkable record of 16 victories in 18 fights. By the age of 19, he qualified for the U.S. Olympic boxing team. In the 1968 Olympic games in Mexico City, Foreman won the gold medal in the heavyweight class. The following year, he turned professional. During a 1973 historic bout, Foreman captured his first heavyweight championship title by knocking out Joe Frazier in the second round. The following year, Foreman signed an unprecedented $5 million contract to fight Muhammad Ali in Zaire, Africa. Famously billed as the “Rumble in the Jungle,” Ali knocked out Foreman in the eighth round, one of the greatest upsets in boxing history. In 1977, after losing a 12-round decision to Jimmy Young, Foreman experienced a self-proclaimed religious awakening. He immediately retired from boxing, and was ordained a minister by the Church of the Lord Jesus Christ. In 1984, he started the George Foreman Youth and Community Center. In 1987, Foreman ended a 10-year absence from the ring by winning the first of what would be 24 straight comeback fights. 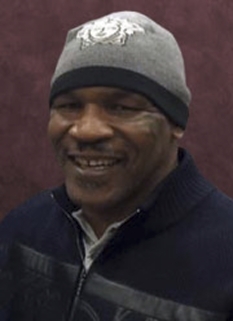 As a contender for the championship title against Evander Holyfield in 1991, the 40-year-old Foreman lost the bout by decision. In 1994, Foreman recaptured the title in a dramatic victory over the reigning heavyweight champion, 26-year-old Michael Moorer. 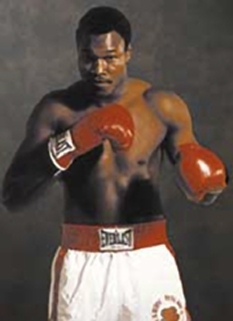 To date, Foreman holds the notable distinction of being the oldest heavyweight-boxing champion in history. 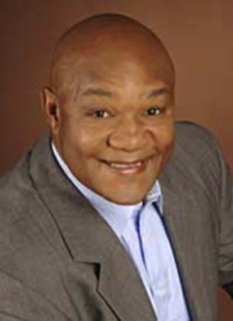 Outside the ring, Foreman has served as a boxing commentator for HBO, a bestselling autobiographer, an advice columnist on health issues and a pitchman for the famous George Foreman Lean Mean Grilling Machine. DISCLAIMER: PFP Sports Talent Agency does not claim to represent itself as the exclusive agent for George Foreman. PFP Sports Talent Agency is a booking agency that represents organizations seeking to hire pro athletes and sports personalities such as George Foreman for speaking engagements, personal appearances, product endorsements and corporate entertainment. Fees on this website are estimates and are intended only as a guideline. Exact fees are determined by a number of factors, including the location of event, the talent’s schedule, requested duties and supply and demand. PFP Sports Talent Agency makes no guarantees to the accuracy of information found on this website and does not warrant that any information or representations contained on this website will be accurate or free from errors. We are often asked how can I find out who is George Foreman's agent? To find George Foreman appearance fees and booking agent details, you can contact the agent, representative or manager through PFP Sports Talent Agency for speaking fee costs and availability. PFP Sports Talent Agency can help your company choose the ideal sports personality for your next marketing campaign. To hire George Foreman for an appearance, speaking event or endorsement, contact George Foreman's booking agent for more information.